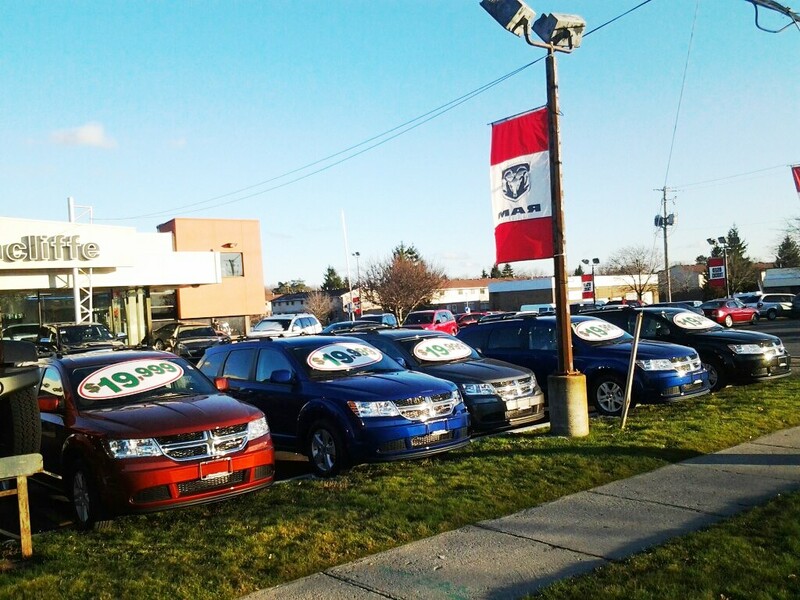 Use advertising flags to maximize the visibility of your brand or message. 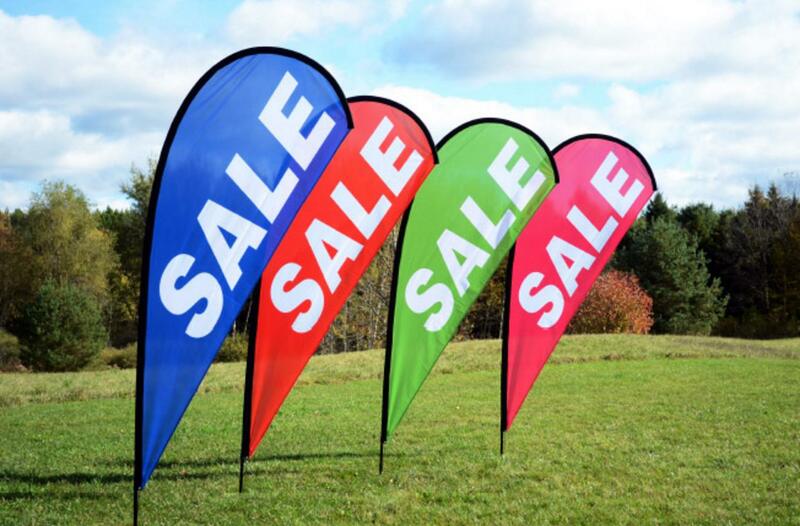 Advertising and promotional flags are great for getting your message out all year round. 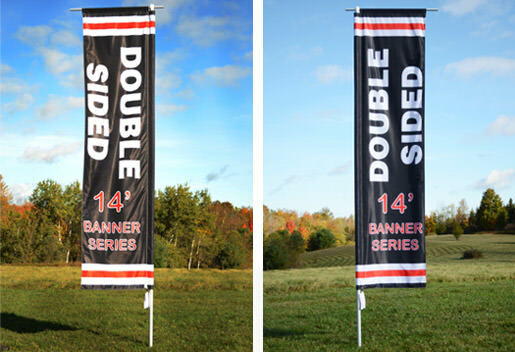 Our flags are manufactured with all Canadian and American made products and the installation process is quick and easy. We’re more than sure you’ve seen our flags posted throughout many areas in Brantford and the Onondaga community. With advertising flags you can choose your style of flag and your custom message and place them everywhere they’ll catch your customers’ eyes. They’re one of the most reliable ways to impact potential customers, catch their eye, and build the popularity of your brand. Virtually any industry can take advantage of advertising flags because they stand out, they demand attention, and they’re one of the more cost effective means of advertising out there. The following are picture examples of some of our advertising flags. If you have any questions about the material we use, or would like more information as to their effectiveness, feel free to give us a call. We’d be happy to answer your questions. With Jackson Signs, you can choose from various styles like the teardrop flags, the feather flags and rectangle banner flags. They come in various styles and sizes and will match your brand’s business model. 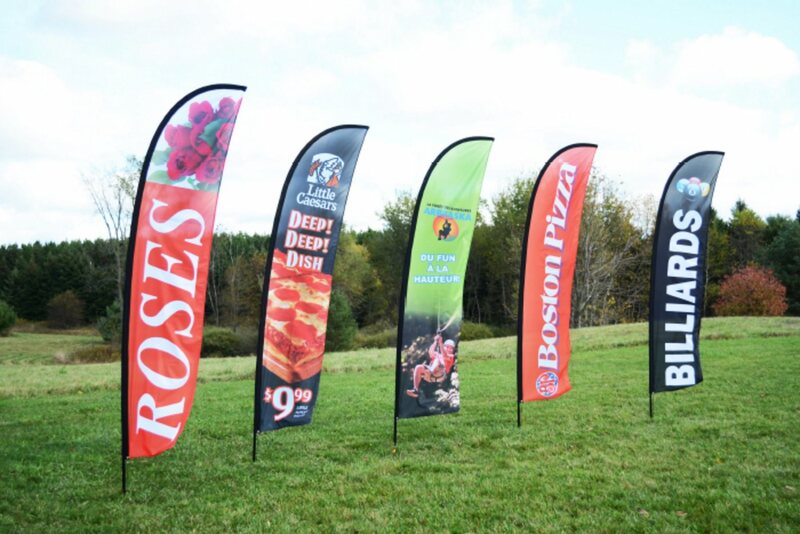 Advertising flags are safe and landscape friendly and can be placed in virtually any strategic position that will catch the eye of your potential customers. 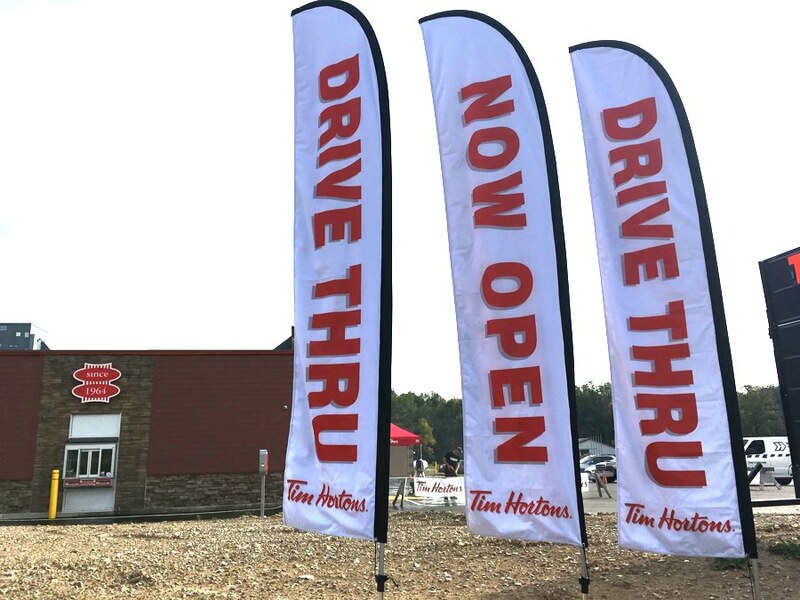 Advertising flags are easy to install, have no problem attracting attention and when printed by the experts at the Sign Shop in Brantford – Jackson Signs – they look great! Once you select a flag style, your brand or message is printed using high-resolution printers. 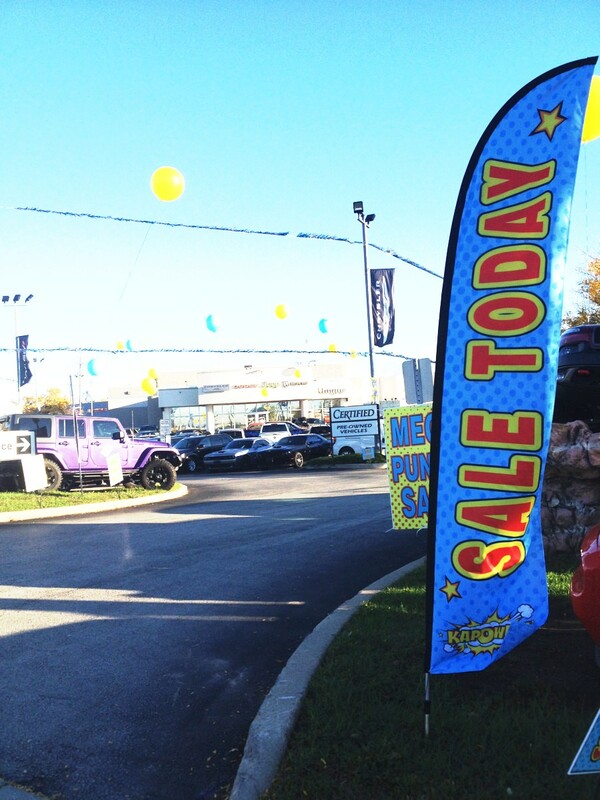 Advertising flags are proven to drive sales by effectively attracting customers. 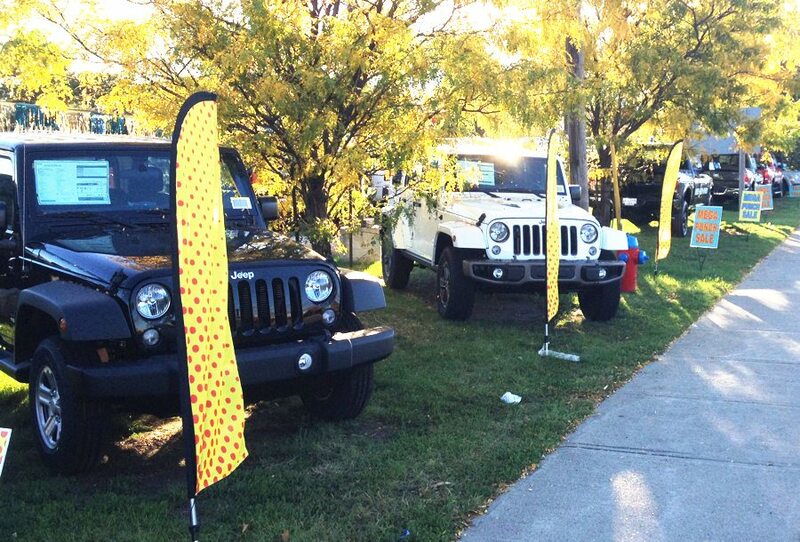 With advertising flags your advertising possibilities are endless with us!